celebrateME! uses your inspiration and color schemes to create eye-catching custom cakes and cake toppers. We use fresh ingredients, and make all of our cakes and fillings from scratch. We strive to bring to life your vision and ideas, making each cake and topper both personal and unique. Attention to detail is key- at celebrateME! you can count on each piece to be designed with fine and delicate detail. 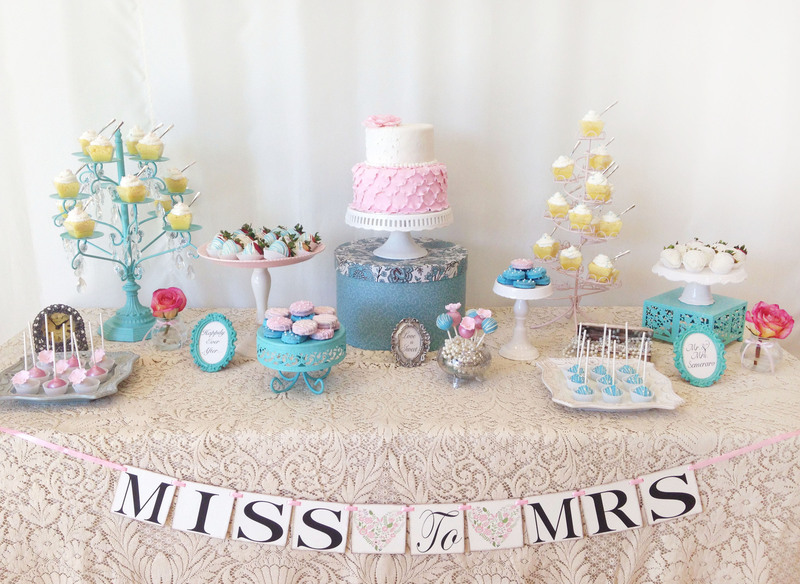 Dessert Tables are a wonderful treat to include at your next social gathering! Perfect for Birthdays, Weddings, Showers, Office and Networking Events. Dessert and table decorations are designed to match your theme. Packages include Custom Designed Decor, Labels, Serving Stands, Set up and Tear down. Thank your guests with the perfect gift! We offer most of our desserts as party favors individually wrapped with a ribbon and personalized message. © Copyright 2017. Celebrate ME!. All Rights Reserved. Design by Bloom.